Facebook holds the largest community on the planet with over 500 million clients of whom 50% log in every day. It is no big surprise why advertisers are fascinated by deciphering how to achieve their intended interest group utilizing Facebook. Facebook was launched in 2004 and in less than an year they managed to have more than 1 million active users. By December 2004, it already became one of the most popular websites and almost every internet user knew what Facebook was. Facebook phones have been created with dedicated facebook buttons so that users could share their thoughts and activity with the simple touch of a button. Nowadays, almost every living person has a facebook profile and over 50% of the total users login to their accounts every day. There are over 500 million facebook profiles, that means almost 10% of the world population. All major websites have a facebook like or facebook share button so that its readers can share their experience with their friends. With such a a huge impact and amount of users, the business potential that this platform has to offer, is tremendous. 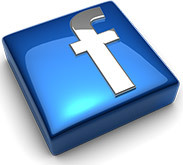 Our software can be used to easily create a facebook application with unlimited games. Each game from your casino can then be added as a separate facebook application to obtain maximum exposure. Using the facebook canvas, your casino can be used to create a facebook application and be found via the Facebook Search bar. Users can access it and accounts will be automatically created with the "Facebook Connect" feature that we will implement. They will play the games and their activity will be posted on their network and shared with their friends, using the "Activity Feed" feature. Facebook supports over 80 payment methods and they will all be added to your casino. However, after buying the points, no withdrawals are permitted, due to facebook policy. The solution that we propose includes creating a simple casino website with an easy to use interface and permitting any facebook user to access it. On top of the features listed above, each user will have the possiblity to invite all his friends to register at your casino and they will be rewarded a number of coins, for each player that they will bring to your gaming website. A global leaderboard will be visible too, which will display the players with the largest balances from your casino. Using the administrator panel, the casino operator can decide the wagering requirement that will unlock each game. This is how facebook casinos make money, by offering players the chance to unlock certain games only after the player reached a certain wagering requirement. When the players will run out of coins, they will make a deposit to continue their experience and unlock more games. The complete solution costs *14,000 EUR and includes our casino management software and all the features listed above, but with no games. The games will need to be purchased separately from our catalogue. All the games purchased will be connected to the Facebook Social Casino Software and when players will play the games, feeds will appear on their facebook page. Also, for each game you will have the possibility to set the wagering limit to unlock the game. The Facebook Social Casino Software is compatible with all our games, including the slot tournaments feature that we offer. Please contact us if you are interested in this offer.